During the Passover seder, several different foods adorn the seder plate before the home service begins. 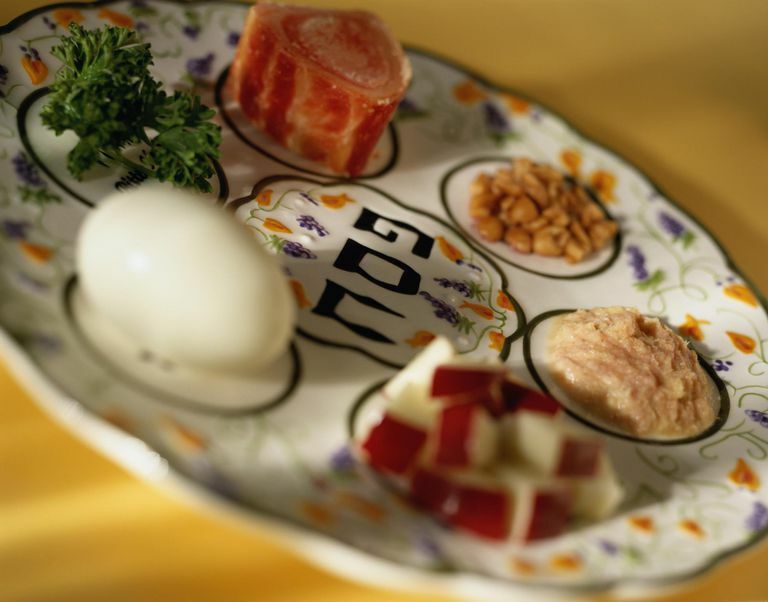 Each food symbolically correlates to a part of the Passover story, and charoset is one of them. An important part of every Passover seder, charoset represents the mortar that the Israelite slaves used to make bricks in Egypt. The word charoset comes from the Hebrew word cheres (חרס), which means "clay." During the seder, the charoset is eaten after the blessings have been recited as part of the "Hillel sandwich." Charoset is full of flavor and can also be enjoyed on matzah without the maror. Most Ashkenazi versions of charoset are generally made of apples and either walnuts or almonds and are not cooked. This Sephardic version, however, is made with dried fruits and wine and is slowly simmered over a low heat. This recipe is very easy to put together. The total active time is about 10-15 minutes and cooking time takes about one hour. For an allergy-safe version of this recipe, substitute chopped dates for the nuts and dried, chopped figs for the apricots. Chop all of the dried fruits into small pieces and mix with the coconut, nuts/dates, sugar and cinnamon. Place the mixture in a small stockpot and add enough water to just cover the mix. Bring the mixture to a simmer over medium heat and simmer uncovered, stirring occasionally with a wooden spoon, for approximately 1 hour. When the mixture begins to thicken and come together, stir in the cherry preserves. Remove from the heat; add the wine/juice and let it cool. Your charoset is now ready to use as part of your seder! Don't raise the heat too high on your stove in the hopes of shortening the cooking time as this will cause the sugars to burn. Additionally, if you simmer the mixture at too high of heat, it can dry out your charoset and may even result in burnt charoset. On the lower heat, the dried fruits can slowly absorb the liquid.